The customers brief was for something to emphasis and reflect the quality and class of the business. Stainless steel faced clear acrylic built up letters certainly provided this. 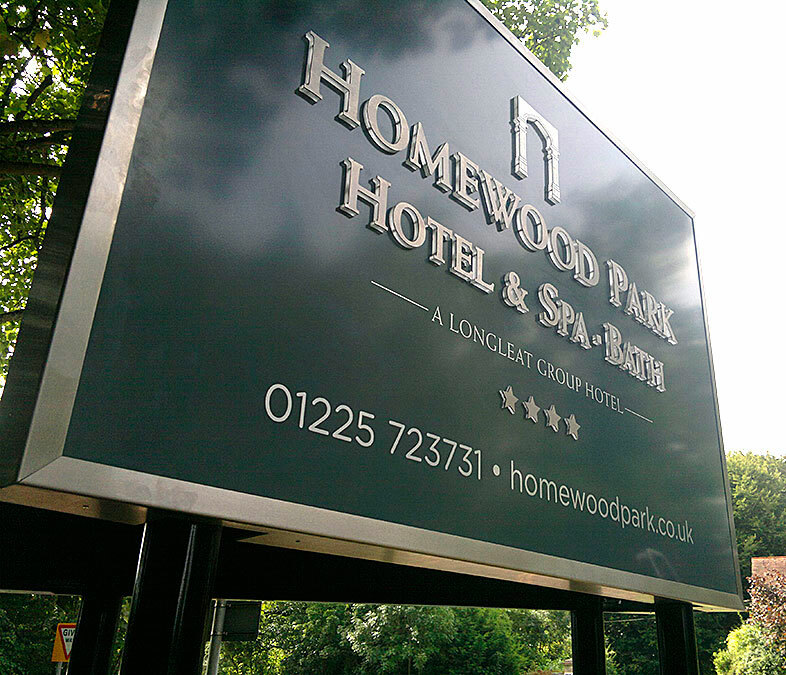 These were individually bonded onto the face of powder coated sign trays that were in turn framed with angled stainless steel sections and then mounted onto powder coated aluminium posts. The installation provided a challenge as not only did existing posts need to be removed but the new posts were positioned on the edge of a wooded area presenting a challenge or two to the install team in dealing with both overhead and underfoot obstacles. The desired look was achieved with a product that will remain looking impressive for years to come.